Electro-Voice is a long standing and respected company in the pro audio industry. Some of their most popularly used products, like the RE20 dynamic microphone and their powerful stage monitors and PA systems, stand out among the rest as clear reasons why this company has succeeded as well as they have. In early 2016, the company announced their brand new ND Series of microphones: eight different microphones, of all types and tones. We’ve been testing one of those microphones out for a few weeks now — the Electro-Voice ND66. The Electro-Voice ND66 microphone is packaged in a shrink-wrapped box. Inside, you will find a ball-type windscreen for any protection you need, a custom mic clip for the ND66, as well as a nylon carrying pouch. Fairly standard equipment if you ask us, but the windscreen did come as a pleasant surprise. The microphone itself is slim yet surprisingly heavier than expected. It’s color is a nicely shiny matte black finish. Overall though, the most impressive feature of the Electro-Voice ND66 is it’s built-in locking & pivoting head. At the push of a button, you can adjust the angle of head’s position, in relation to the body. It can be adjusted from position 1 (straight to the body) to position 7 (90° angle to the body), and anywhere in between. This makes it so much easier to adjust accordingly to awkward instrument placements, especially when recording drum kits. Unfortunately position 1 seemed to have some trouble locking like the other positions, but you’ll be able to get it locked perfectly fine after some adjusting. The other features of the microphone include a switchable pad, adjustable to -10 or -20 dB, as well as a 75Hz or 150Hz filter. Surprisingly enough, the pad is much easier to access than the filter, which requires a small key or tool to adjust. Typically, things are the other way around. Not a good or bad thing — just something to note. The Electro-Voice ND66 sounds awesome. Let’s be frank — they’re a condenser microphone with a $200 price tag. Normally, at this price, you know what you’re getting — nothing incredible, but nothing bad either. In this case, however, we were very pleasantly surprised. We used the microphones primarily as overhead microphones for a drum kit, and they worked excellently well. What we found was that the clarity of transients in the cymbal hits, and overall shimmer ended up having the perfect blend, one never outweighing the other. Aside from a few other technical errors in our session, we found that we never had to adjust our placement of the ND66 pair. What they picked up worked extremely well, and we ended up talking for hours after our session was complete with other engineers present about how surprised we were by the ND66 pair. We would describe them best as a secret weapon, un-seemingly powerful. Of course, they aren’t limited to use as drum overhead microphones. They’re top-end presence makes them great for acoustic guitars too, and while you might not normally use a mic like this for vocals, they wouldn’t be bad there either — provided your vocalist doesn’t move all that much. There’s not much to dislike here — but nothing’s perfect. Downsides include things like the fact that position 1 didn’t lock and stay in place quite as well as other positions, which can be troublesome to those who would be using it primarily in that position. On top of that, the pad and filter switches are opposite to what we are used to. At the end of the day though, sound talks volumes to minor details. 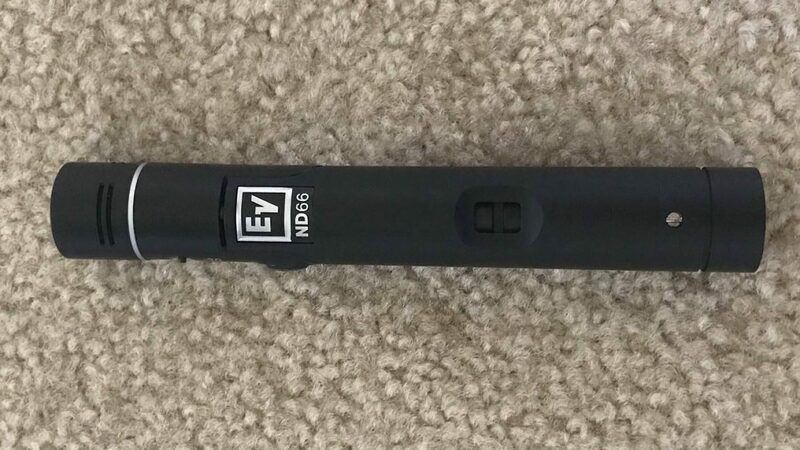 The fact is, when we opened the package to the ND66 and saw a small $200 pencil condenser from Electro-Voice, we were not expecting the quality that came out of our control room speakers. For just $200, the ND66 secret weapon can be yours, although just like any other strong pencil condenser out there, we always suggest buying a pair. 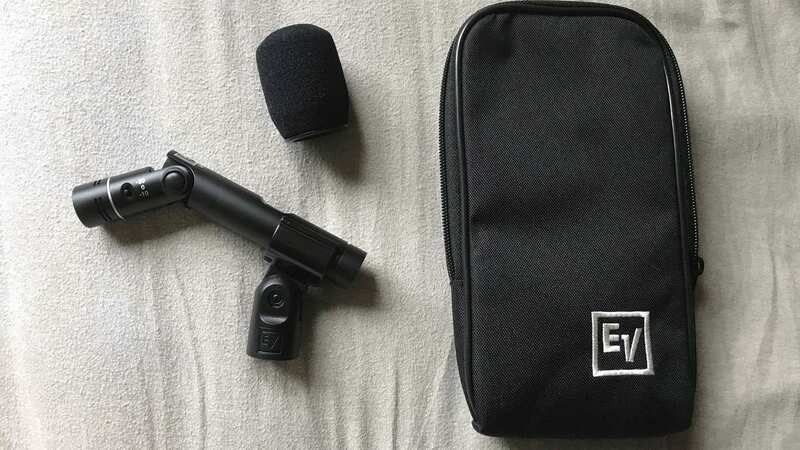 To buy the Electro-Voice ND66 microphone for yourself, check out the links below.